Ronald H. Mahaffey Jr. holds a particular expertise in the shipbuilding industry, and in the construction and maintenance of ships for government agencies. In his current role, he liaises with government officials, GD personnel, military and prospective ship building contractors. A wealth of knowledge and experience honed over the course of an illustrious career allows Mr. Mahaffey to shine as a luminary in his field. He is a 25-year veteran of the United States Navy. He was a chief warrant officer and spent most of his professional career working with electronics. Mr. Mahaffey completed coursework at The Defense Language Institute Foreign Language Center, and he holds a Lean Six-Sigma Certification in Greenbelt and Blackbelt. He has also completed training at FranklinCovey. He is a lifetime member of the Veterans of Foreign Wars, and a member of the United States Naval Association, the National Rifle Association, and the Surface Naval Association. 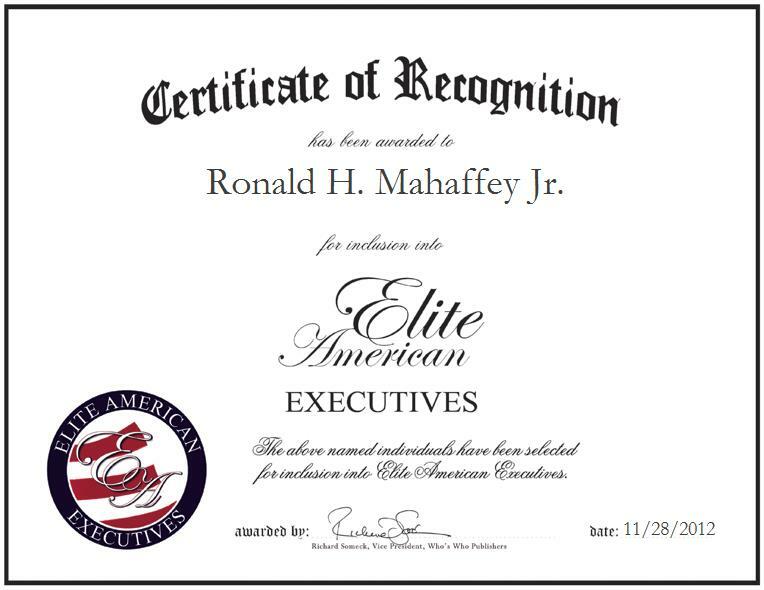 Contact Ronald H. Mahaffey Jr.